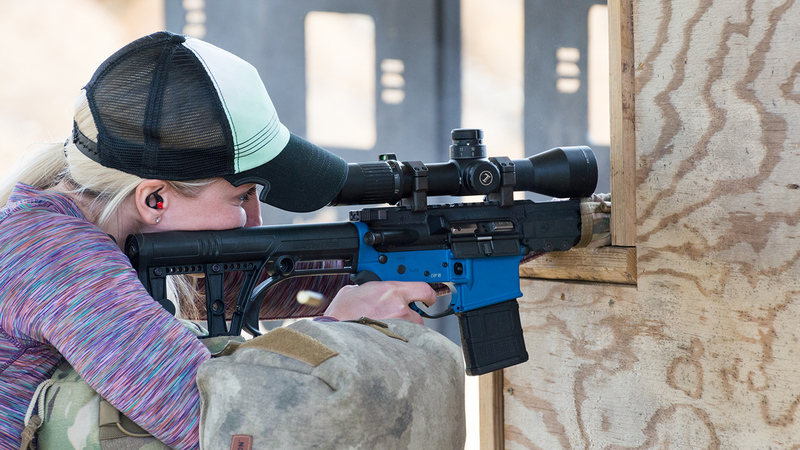 On February 18, the inaugural Precision Rifle Series (PRS) Gas Gun match was held at CORE Shooting Solutions in Baker, FL. The two-day match featured 16 stages designed to challenge shooters moving into multiple positions to engage targets at up to 800 yards. Taking a cue from multi gun competition, pistol shooting was added to the course of fire for four of the 16 stages. 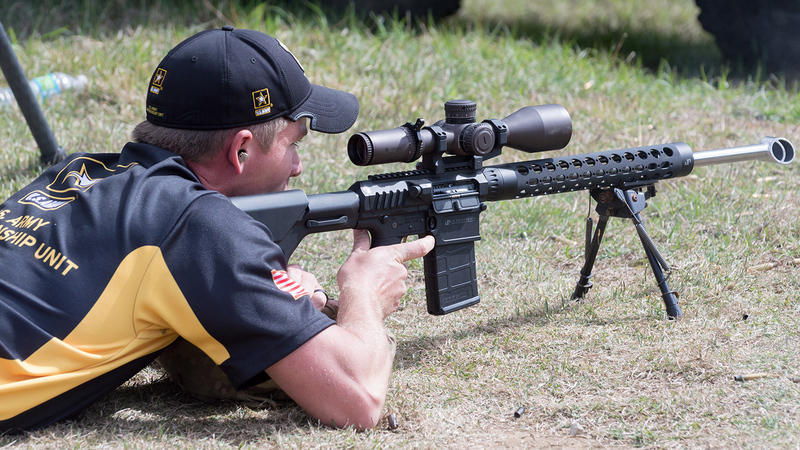 Match winner SSgt Tyler Payne of the AMU shooting his JP Enterprises LRP-07 rifle in 6mm Creedmoor, with a large JP recoil eliminator on the barrel. “For the gas gun match held at CORE, I used a JP LRP-07 chambered in 6mm Creedmoor, with a Vortex Razor HD Gen 2 4.5-27 scope. I was shooting the Berger 105 hybrid bullet at 2975 fps. Terry Gower and Greg Hamilton finished second and third, respectively, in Open Class. Rhett Walters, Terry Cross and Sean Murphy finished first, second and third, respectively in Tactical Light. For the Tactical Heavy, Ryan Voccola finished first, Jon Gonzales winning second and Spencer Berry in third. Candice Horner was High Woman. At the match I eyeballed several competitors’ beautiful customized rigs. There were many Armalite, GA Precision, JP Enterprises, LaRue and Seekins rifles. Most, if not all were topped with high-end optics—Bushnell, Kahles, Leupold, Nightforce and Vortex with 5 to 6x zoom being the most prevalent choices. For ammo in Open Class, 6mm and 6.5mm Creedmoor was popular. High Woman Candice Horner shooting the PRS Barricade Stage. The prize table at the awards ceremony included products from Langxang Tactical, Falkor Defense, Leupold, Knight’s Armament, Nightforce, Kestrel, Gemtech, Lone Star Armory, Seekins Precision, Adams Arms, Trigger Tech, Badger Ordnance, Superior Ideas Steel, Magneto Speed, Armageddon Gear, Radian and Barrett. PRS strongly believes there should be few, if any restrictions placed on Match Directors—allowing them to run their individual matches in a way that best fits their vision and needs. Therefore, Match Directors have the freedom to formulate courses of fire that best captures the core principles of PRS competition. The competitors themselves determine match quality, and are encouraged to provide feedback when necessary to the powers that be. This article was originally published on Shooting Sports USA.